- Versatile – any granular sepration into lights & heavies. We offer Dry Destoner from Premium Engineers. 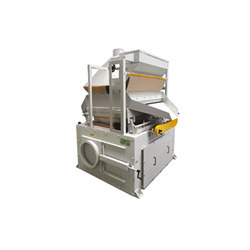 Stroke & Positive Pressure De-Stoner is designed remove stones (by density) from the materials like wheat, green coffee, Rice, cereals & various pulses and granulated products. High efficiency cleaning machine for removing stones from various grains, pulses, seeds etc. Available in Various Models. We are the Manufacturer of Pressure type Destoner. The machine is specially designed to clean stoner and sand , similar in size to grains, from paddy or wheat, through combined action of wind-force and mechanical movement, by utilizing the different in specific gravity and suspension speed between stone and grain . Used for removal of heavy foreign contaminants like stone, metallic pieces, glass pieces etc. It works on the principle of weight difference. 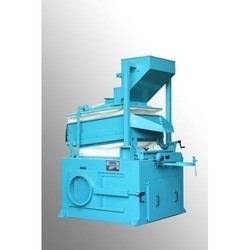 Stroke & Negative Pressure De-Stoner is designed remove stones (by density) from the raw materials like paddy, wheat, green coffee, cereals & various pulses and granulated products.